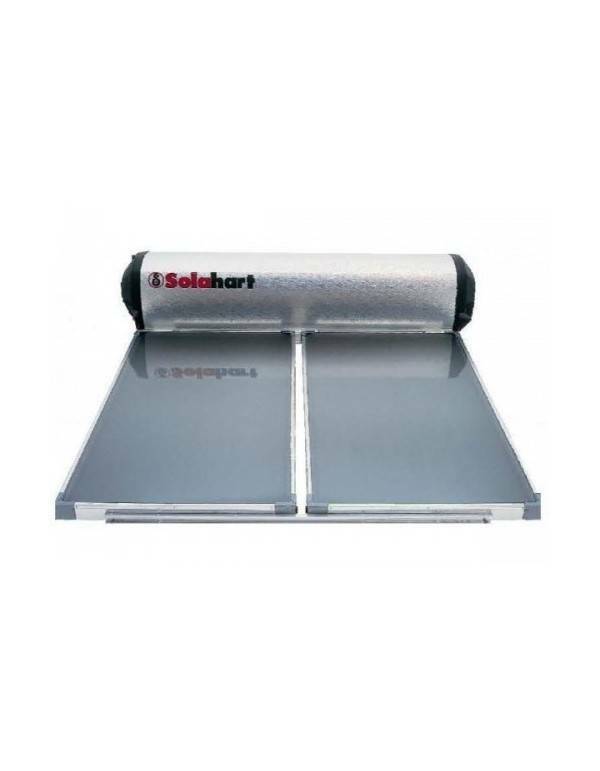 300 liters Solahart thermosiphon, the market leader for quality and durability. Size recommended in dwellings for 2 to 5 people. Kit with everything needed for assembly. 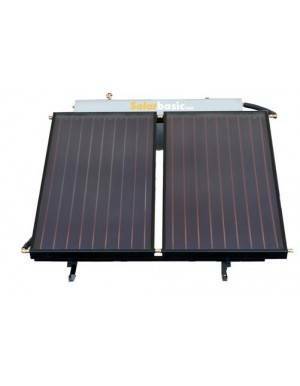 • 2 solar collector Solahart model "J"
• 1 tank jacketed with 300 liters capacity for ACS. 151 J (one solar collector and 150 liters of accumulation) for households with one or two people. 302 J (two solar collectors and 300 liters of accumulation): housing of 3 or 4 people. • Accumulator glazed double layer, rigid and elastic. The rigid layer is the case with most accumulator / interaccumulators market Solahart accumulators are characterized by vitrified one second elastic, this prevents precipitation of lime deposit on the sides, which accumulate in the bottom of same in case of replacement be delayed anode, preventing it from producing perforations and facilitating cleaning common cause of breakage of the same in the single layer. Today, we have facilities in Spain that took place 30 years ago and still maintain the same performance as the beginning. • Jacketed interaccumulator (more efficient to have greater heat exchange surface), the jacket system is used whereby the heat transfer fluid is isolated from the service water by the double glazed protected. • Sacrificial magnesium anode. Absorbs water aggressiveness galvanic action of water and minerals (calcium, chloride, etc.) Has dimensions suitable protecting the entire length of the accumulator. • Electric heater, located in the center of the vessel, to avoid heating total energy saving in the use cases. Likewise, the thermostat is in "contact", installed above the resistance in its operation becomes tank capacity 300 liters solar electric capacity of 120 liters. (For periods of low insolation or permanent rain). 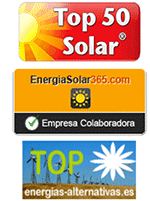 This resistance is optional, at the discretion of the installer installs. • Injected polyurethane insulation in high density storage of 60 mm. thick (avoid losses even in cold temperature or altitude). • Finishing of marine aluminum tank and side covers black weatherproof polypropylene. This aluminum is used in shipbuilding and confers greater resistance to deterioration unlike galvanized steel which is the generally used equipment market. • The system lacks expansion vessel, as Solahart the accumulator design, the expansion is effected in the upper reservoir of the primary circuit. • fastening system integrated in the tank shell. Avoiding awkward structures when installing on sloping roof. For installation on pitched roof, not required metal fastening system and is without drilling into the tile. (Unique, patented system for Solahart). • Given its design works by thermosiphon with a minimum slope of 15 degrees, the equipment installed interaccumulators below the feedback system, have more performance problems since the work by the principle of thermosyphon fluid with increasing temperature rises easily but part of the thermal inertia remains on top as this hot fluid to the accumulator does not drop efficiently. • Diffuser cold water inlet. The accumulator has a diffuser Solahart in cold water inlet, which allows a correct mixture of this stratification in the tank, preventing the breakage of the mixture, especially in situations of high consumption. This diffuser incorporates not the other competitors in the market. • Side and rear insulation rockwool sensor. Solar glass enclosed system with rear ventilation to prevent internal condensation on the sensor. Glass high hardness and maximum performance when glass low iron content, especially for solar. • The sensors have a system of channels 35 to the entire area under this concept the flow passes through the entire absorber, preventing the side flaps which enables achieving higher yields, with shorter response times, thereby differentiating the type of grill. These absorbers can only be manipulated using special devices because their handling and manufacture are more demanding only a few manufacturers may be performed. • Increased capacity collector-storage configuration, and may install more sensors, depending on the climatic conditions of the area for the same battery, also have a maximum accumulation tank of 400 liters with 4 sensors, ideal for camping, small hotels, gyms , etc. • Possibility to combine, extend or add more equipment in series or parallel. • The compact Solahart double circuit (primary and secondary), not affected by the freezing cold nor geographic areas will affect limescale in hard water areas. With safety device against overheating. 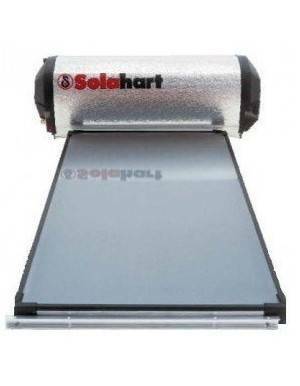 • End users appreciate the aesthetic and compact design Solahart. • Finally, most importantly, we must have high reliability offered worldwide technology and experience gained by Solahart, with over 60 years experience. Después de 15 años con el equipo se me fastidió el depósito por cal. Hasta entonces ningún problema. Me he comprado el mismo otra vez.